Elementary School programs include year-round Tai Chi Youth classes. Special 5-day program has been created to teach the "Rock Horse." Elementary school classes during Easter week, or Summer are divided into two groups of 12 to 15 students. One group is grades 1, 2, and 3. These are the PEE WEES of Tai Chi Youth. The second elementary school group is "KIDS" grades 4, 5, and 6. A special performance program of the TCY students is held for parents on the last day of Pee Wee Programs. Special 5-day program has been created to teach the "Rock Horse." Elementary school classes during Easter week, or Summer are divided into two groups of 12 to 15 students. One group is grades 1, 2, and 3. These are the PEE WEES of Tai Chi Youth. The second elementary school group is "KIDS" grades 4, 5, and 6. A special performance program of the TCY students is held for parents on the last day of Kids Programs. Jr. High, Middle School, and High School Programs are offered at public schools and churches. 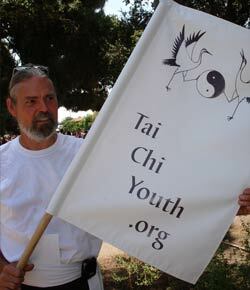 Most youths 13 or older are capable of joining the regular "ADULT" Tai Chi Youth classes. Teen Programs are the same curriculum as ADULT programs. 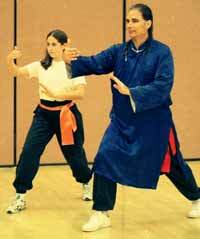 The ADULT program is the same as the Teen Programs which were the core of Tai Chi Youth. SENIOR programs were developed from 2003 to 2011 for the YMCA. These were very popular and always packed classes. The seniors were given alternatives to kicks and one-legged exercises. 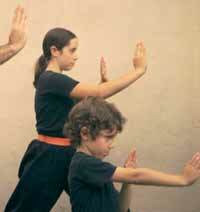 Same Tai Chi Form is taught to all students age 6 to 80.